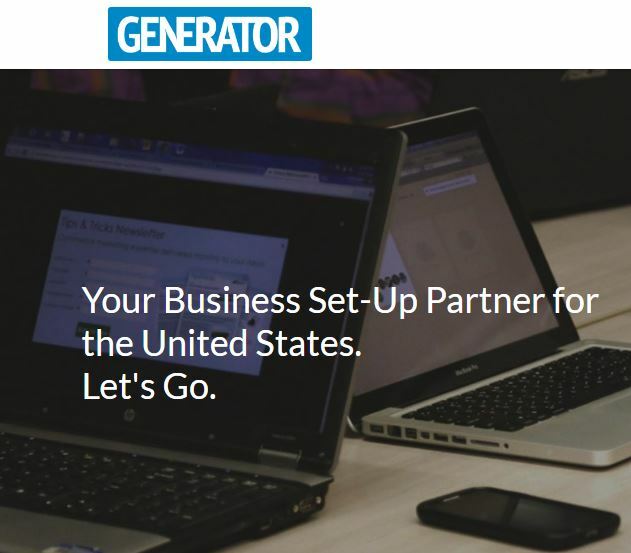 Generator provides affordable, experienced in-market resource and support for offshore technology companies wanting to establish operations or sell their product or service in the USA. 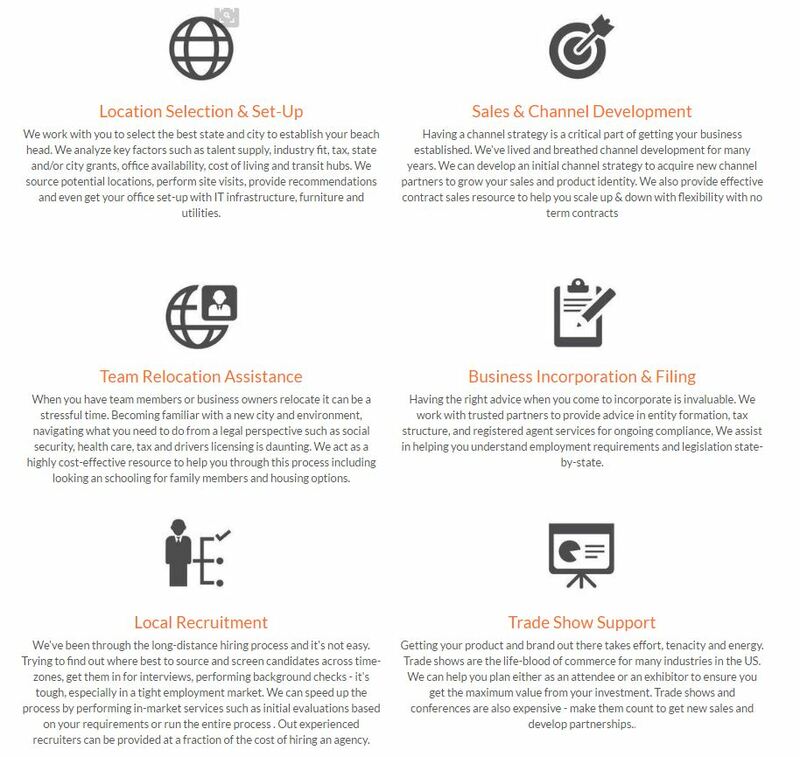 Sales, channel development, trade show support, office location evaluation and local recruitment are some of our core services. We help your transition into the United States easy, seamless and as stress-free as possible. We uniquely combine a number of aspects found across different companies such sales support, logistics, recruitment, relocation but specialize in tech. We’ve owned and operated our own tech start-ups and understand the challenges around entering a massive market like the United States. We super-focused on providing maximum value to our customers especially those in start-up or growth mode who need a lean approach either to validate their product/service or don’t want to outlay significant cash to do a full market entry. Country trade associations can of course provide assistance but almost all do not supply dedicated resource to assist across all of the service areas we cover. We’re easy to do business with, we deliver results and are really cost-effective. We also focus not only on the company and product but the people, especially if a member of the team is relocating. Often the personal experience is just as daunting as the business side. If you add family into the mix then it becomes a lot more complex with acclimatizing to a new city, choosing good schools, safe neighborhoods and even down to getting a US driver’s license and building your credit score. Dallas, Texas and Los Angeles, California But we have coverage right across the US. A couple of great projects one in FinTech another in software development. Both companies (one Australian, the other from New Zealand) wanted to set-up operations and launch their products but were stagnating due to lack of internal resource, experience and the risk profile. We mitigated all of those to get them launched. We love technology companies – SaaS, e-commerce, logistics, data, FinTech/payments at any stage of the growth curve. Although they tend to be the best fit for what we do we’re also working with a rattan furniture manufacturer from Asia-Pacific so sometimes it’s not always about technology. Every member of our team has started their own business at one stage. Some have migrated to the US from other parts of the world. This for us is an invaluable asset because it not only creates empathy with our customers but really helps explain, through our own experiences, lessons gained the hard way. We want to provide the best service at the best price point with a range of options that each team member may specialize in. To commoditize the business of market entry and relocation to make it easier and more economical for companies to access new markets using a combination of people and software. And to have a massive wall in our office covered with success stories about the companies we helped on their US journey. Anything home automation related – especially voice enabled lighting & A/V. Philips Hue and Alexa are slowly taking over my home. A much better voice assistant that can handle different accents. Tackling the US market can be challenging and daunting. Taking a pragmatic approach with Generator’s guidance can not only provide valuable feedback and guidance but create a much more successful pathway for your business.